Sarah Beth wrote me and is a kindergarten teacher in her mid-twenties. 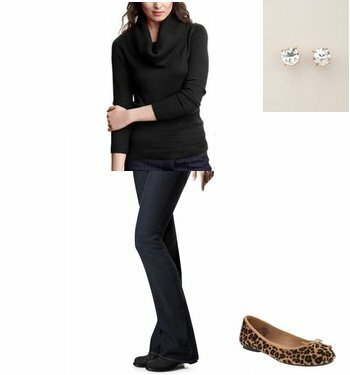 She feels as though her work wardrobe is very blah and wanted some ideas to stay fashionable, as well as comfortable on the job. She lives in Houston, so she doesn't need super thick sweaters, and she's also looking for a pair of great boots for the fall and winter (jeans are also ok as long as they are dark and have no holes/distressing). Here are some outfits that I thought might help Sarah Beth's work wardrobe feel more stylish. Click on any of the images below to purchase or for more information on each item. I am also a teacher (grade 5), in my mid-twenties. How would you reinterpret this look without denim? We have a strict "no jeans" dressy casual policy. Erin - Great question! Here's how I would change up the looks without denim. Bought these Steve Madden boots and am absolutely in love with them!